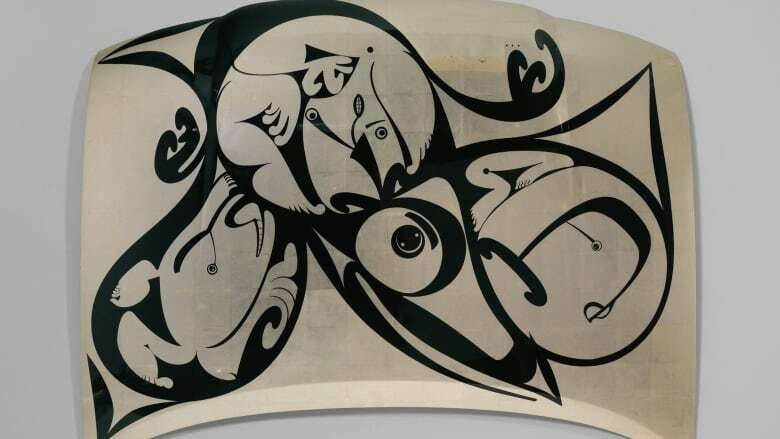 An artist from Haida Gwaii is getting high-profile international attention with works on display at the Metropolitan Museum of Art in New York City and the British Museum in London. While being featured in those institutions is a major accomplishment for any artist, Michael Nicoll Yahgulanaas says it signifies that First Nations art is increasingly entering the mainstream art world. In an interview with On The Coast guest host Gloria Macarenko, Yahgulanaas says the works are unmistakable to anyone from British Columbia. "I'm particularly enjoying that it is a piece of work that here in Vancouver we would look at and say, 'oh yeah, I know what that is,' and it's strange and exotic in New York," he said. "I think it signals that there are some changes in the way Indigenous people are stepping in with our own voices into an international art world." His works on display are part of a series, "Coppers from the Hood." The piece in the Met is a metallic mural made from a polished Toyota Tercel hood adorned with platinum leaf and a black finish depicting a bird and human figures. Yahgulanaas said he wanted to work with a car hood because of the vehicle's practical uses in cultural traditions, such as transporting a canoe to water. He said unlike other objects with more obviously ethnic trappings, such as "drums or dream catchers," the car would be an essential part of that activity. "People at home responded so well to that. They thought it was hilarious." He also said when he looks at a car, he sees an object of beauty and sophistication. "So why not just park them and turn them into pieces of art?" Yahgulanaas said he tries to make his art, which is influenced by his Indigenous ancestry, accessible to non-Indigenous audiences by bringing a sense of fun into the final product. Yahgulanaas said he is now working on a comic book-style mural for a "large American museum," the identity of which he cannot yet reveal.